All Units include one (1) sink, one (1) back splash, and one (1) side splash on whichever side you choose. Additional sidesplash, faucet hardware, and accessories not included. Faucet holes pre-drilled with 8″ spread. 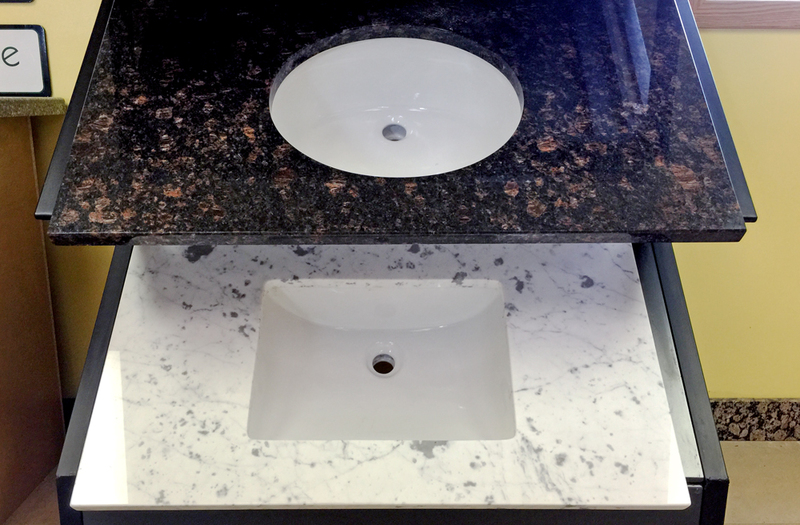 Granite & Quartz come with a white oval undermount sink. Marble comes with a white rectangle undermount sink. Design your very own custom vanity countertop! 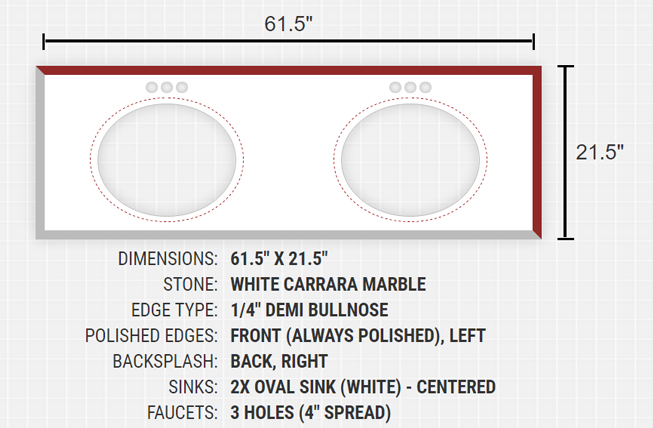 We have a large variety of stones, sinks, and faucet hole configuratons to choose from. Pick your dimensions, polish, backsplashes and more with our easy-to-use Custom Vanity Countertop Designer. (Faucet hardware and Vessel Sinks not included). Once you’ve finished designing it, you can order it and it will be delivered to your door. If you have any questions, please call us at (503) 588-0180. View our Instructions Sheet here.